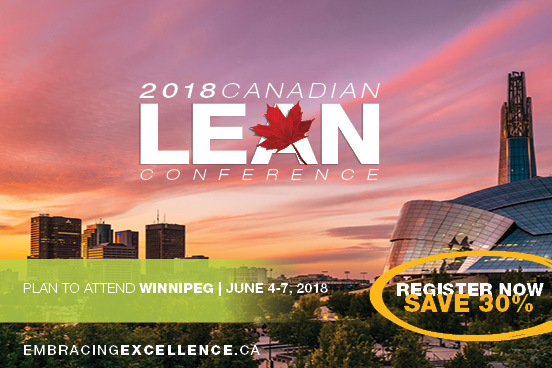 Plan to attend the largest LEAN event in Canada in 2018! Join us to learn productivity best practices, success stories and tips from leading LEAN practitioners from across North America. Register now to save big! Now is the time to register: SAVE 30 per cent for individuals and 40 per cent for groups! Embracing Excellence conference details, including registration!